Whether you're out for an evening stroll, walking around the parking garage, or jogging through the park – even in normal, everyday settings, it happens far too often that people find themselves in potentially dangerous situations. Because you never want to be unprepared in a worst-case scenario, it's time to familiarize yourself with the following self-defense tactics so that you can keep yourself and your loved ones safe from physical attacks. 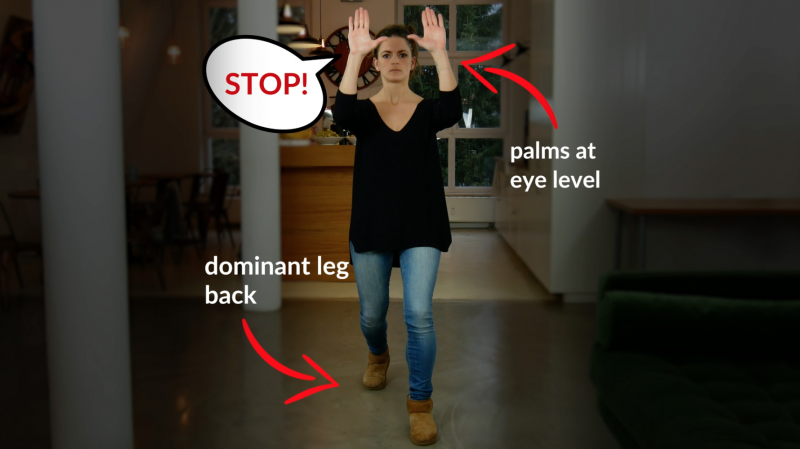 If the attacker should come directly at you, take the following defensive stance: Firmly plant your dominant leg behind you, raise your palms to eye level, and loudly shout "Stop!" This technique will surprise the attacker and act as a warning while you get into position. If that doesn't deter the attacker, strike their soft spots. These sensitive areas are pressure points that, when struck, will slow down, stop, or even injure the attacker. One of the major soft spots on any body are the eyes, so if you need to protect yourself, slam your palms against the attacker's cheeks and dig your thumbs deep into their eyes. Another soft spot is the nose: Strike the attacker's nose with the heel of your palm using full force. If the attacker's eyes and nose are out of reach for you, use all your strength to strike the Adam's apple. 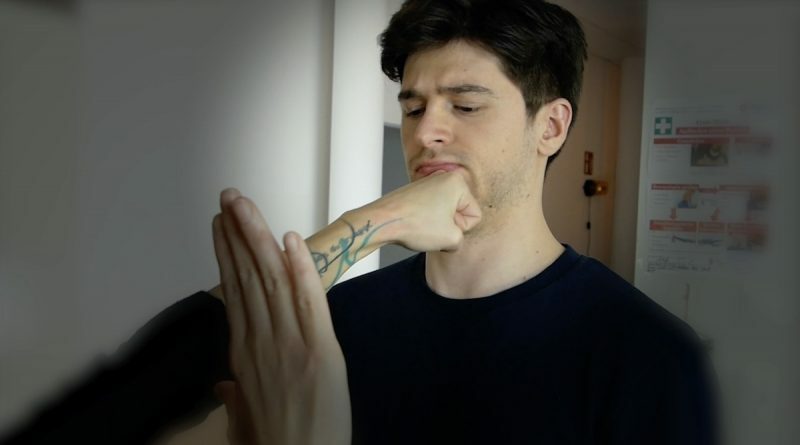 If you want to fend off your attacker with a blow to the chin, make sure to put your thumb over your knuckles and slightly rotate your shoulder on impact – this will really pack a punch. And if all else fails, or if it seems to be the easier option from the get-go assuming your attacker is male, hit him where it hurts. A powerful kick to the groin is a well-known and effective way to ward off a frontal attack. You can also try a surprise counter-attack: Burst forward, block the attacker's blow with your forearm, and strike any of their soft spots. Make use of your surroundings! An extremely easy and effective defense method is throwing an object, such as a bag or purse, at your attacker. This will catch the attacker off guard, thus giving you time to incapacitate them with a kick to the groin. Depending on the object and the attacker, it might even give you a chance to escape. If somebody clamps their arms around your upper body from behind, shift your hips to one side and strike the attacker's groin with a closed fist. Then stand up, rotate your upper body, strike their neck, and kick the groin. If your attacker grabs you by the wrists from behind, turn around, look them in the eye, and kick them in the groin. Rotate your body so that you are facing the attacker and strike them with your fist. If this does not immediately subdue the attacker, kick them once more in the groin and deliver a powerful blow to one of the soft spots. While it's vital to know how to physically defend yourself in a dangerous situation, it's equally important to make yourself heard in that moment – scream, call for help, and do whatever else you can to draw attention to yourself and make any and all bystanders aware of what's happening. Sometimes just vocalizing your rage is enough to scare off the attacker and show that you will not be intimidated. Attackers often pick their targets for a specific reason, and there's no way to prevent that from happening. But in cases where the targets are chosen at random, it's always helpful to know how to discourage such attacks from happening. Check out our tips for that here.